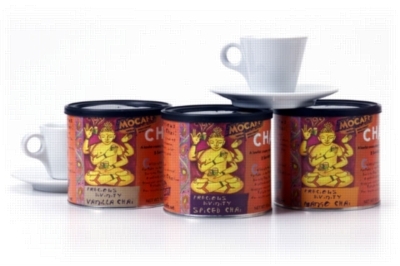 Lift your soul into high gear with the natural intoxicating flavors of fresh ginger, clove, cardamom, wildflower honey and black tea of MoCafe Precious Divinity Chai. Create an assorted case of twelve 12 oz. cans of flavors like decaf , vanilla, and spiced chai.